This year we already organises the 16th popular house fair in Studen at Büetigenstrasse 30. As usual we prepared about 250 Whisky to taste. On the second weekend, Jack Wiebers of Jack Wieber’s Whiskey World will be with us. The Monnier Whisky-Team is whole for you. 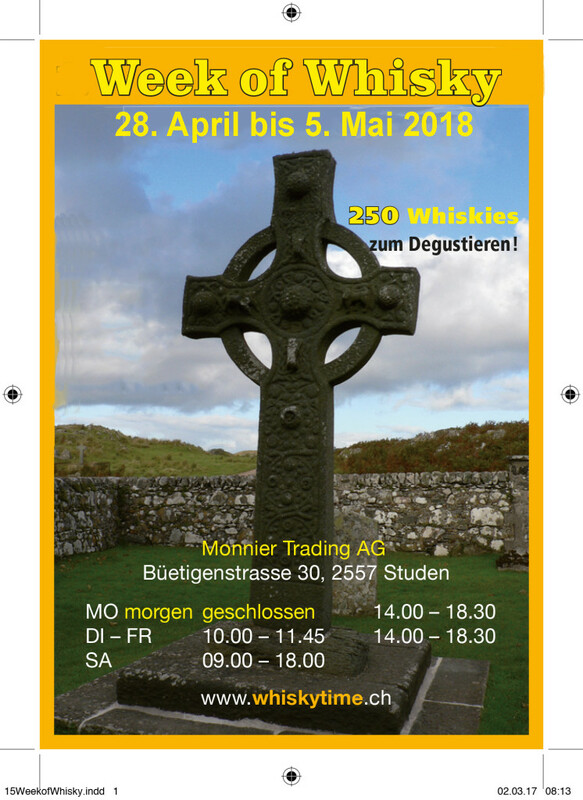 This entry was posted in Varia and tagged Hausmesse, Monnier, Week of Whisky, whiskytime.ch.